BERLIN (AP) — Jewish members of the far-right Alternative for Germany party, or AfD, met in the southwestern German city of Wiesbaden on Sunday to create a Jewish section within the party — a move that drew strong condemnation from other Jews. Nineteen people joined the new “Jews in the AfD” group, local media reported. A leading member of the group, Wolfgang Fuhl, told the German news agency dpa, that only AfD members who were ethnically or religiously considered Jewish, could participate in the new group. Some 250 people protested against the Jewish AfD group in nearby Frankfurt. “You’re not getting a kosher stamp from us,” said Dalia Grinfeld, the leader of the Jewish Students Union of Germany. Meron Mendel, the director of the Anne Frank Educational Center, called the creation of the group “a PR stunt by the far right,” dpa reported. Despite repeatedly downplaying the horrors of the Holocaust, the far-right party has acquired some Jewish members who are drawn to its rhetoric against Muslim immigrants. “The AfD is the only party in Germany that makes anti-Semitism by Muslims a topic without trivializing it,” Dimitri Schulz, a Jew and founding member of the Jewish AfD section, told the German news agency dpa last month. Germany has seen an increase of anti-Semitic incidents including a series of violent attacks on Jews by Muslims. 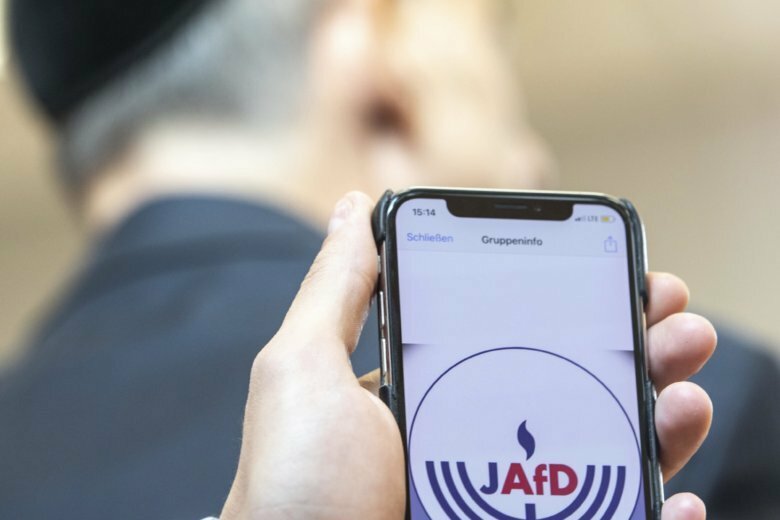 Most Jews, however, do not believe that the AfD will become a “guarantor of Jewish life in Germany” as some party leaders have touted in the past. On the contrary, they stress that the AfD’s demand to ban kosher butchering and boys’ circumcision goes fundamentally against their religious traditions and threatens their right to live in Germany as Jews. At the same time there is widespread ambivalence among Jews in Germany when it comes to the more than 1 million migrants who came to Germany since 2015, the majority of whom are Muslims from countries like Syria or Iraq with attitudes hostile to Jews and Israel. The head of the Jewish Council, Joseph Schuster, has repeatedly warned that Jews shouldn’t wear their traditional skullcap, or kippa, in German areas with large Muslim populations.